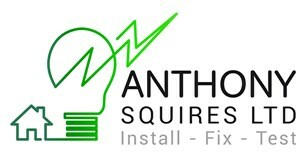 Anthony Squires Ltd - Electrician based in Gosport, Hampshire. Welcome to Anthony Squires Limited. NICEIC Registered Approved Contractor & Domestic Installer. JIB Gold Card Registered, graded: Approved Electrician. Member of the IET with designatory letters (MIET), assessed for competence at degree level. LIGHT COMMERCIAL: SMALL-MEDIUM SIZE SHOP FITS, PREVENTATIVE MAINTENANCE, TESTING AND CERTIFICATION. FOR FULL DETAILS OF OUR PRODUCTS AND SERVICES PLEASE VISIT OUR WEBSITE. Gosport, Fareham, Southampton, Portchester, Portsmouth.